Look out kids, looks like Mom and Dad want-in on the Popsicle experience [boozy pops], kicking traditional flavors to the curb and opting fill those molds with their favorite wine, sangria or other adult beverage instead. Or if you're feeling lazy, can't seem to get off your rusty-dusty up-off the ambitious-boy recliner then you maybe very interested to know that Kim Crawford, the New Zealand winery most famous for its Sauvignon Blanc, has teamed up with People's Pops according to an article I found on the Kitchn.com. 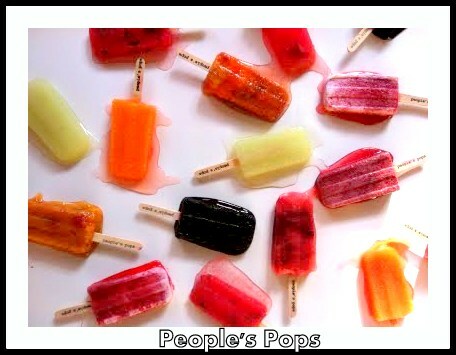 People's Pops is a New York-based ice pop company known for taking local, sustainably grown fruits and transforming them into mouthwatering good ice pops.